Hey guys, I’ll gonna write some quick post about this year’s celebration of Capiztahan, an annual provincial festival in Capiz, Philippines. This year, it’s the 116th founding anniversary of the province and there’s no other way to celebrate it than showcase the native products, astoundingly delicious cuisines (seafoods cough cough), rich historical and cultural heritage, blasting street fiesta, and the first every Capiz’ International Triathlon Competition (Capiz Triaksyon). The latter is a new project of the provincial government to promote the Province of Capiz as a cultural and sports hub in the heart of the Philippines. On my end, I seriously find Capiztahan 2017 an amazing experience and somehow rigidly tiring. Of course, I am working on a hotel in province and we have some VIP guests that stayed with us. Well, I spent 3 weeks on the graveyard shift and that was seriously terrible though I’d rather be assigned on that schedule coz sometimes, I just can’t control my antisocial nature and I might freak out dealing with so many human beings. On a separate account, I got some chances to tour around the city during those eventful days. In fact, I was able to survived going through center of the crowd together with a friend of mine. I wasn’t expecting I’ll survived that as way back in December 2016, during the Sinadya’s celebration I feel nauseous whenever I have to passed through the crowd. I guess this is a job well done on my part. 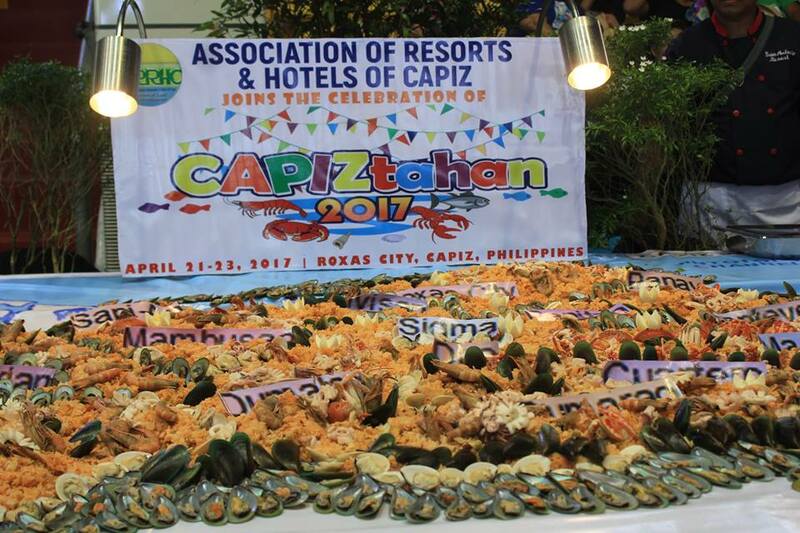 Importantly, Capiztahan 2017 was filled with seafood galore especially crabs, prawns, squids, fishes, seashells (Scallops, etc.) In addition, the parades of lights along the streets and the traditional ‘sadsad sa kalsada‘ (street parades) simply reflects the rich cultural background of the province. On ‘sadsad’, every municipalities of the province of Capiz displayed their versatility and creativity on delivering fantastic themed-performance. A pageant was also held in the first night of the celebration on which pretty girls from all over the province compete to obtain the title of Mutya sang Halaran sa Capiztahan. Aside from these, Capiztahan 2017 had been filled with many amazing activities and simply shows the promising future that awaits the province of Capiz if such events continues to attract both local and international tourists. Finally, the grand fiesta ended with a big bang through the Fireworks competition that took place during the last night of the Capiztahan 2017.